Recently launched electric mobility company Lime has appointed The PHA Group to handle PR and Headland to work on public affairs and an advocacy campaign for dockless e-scooters. Lime, which launched in late 2018, provides dockless, electric-assist bikes and scooters, helping riders travel at up to 15mph across a number of boroughs in London and Milton Keynes, where it is headquartered in the UK. 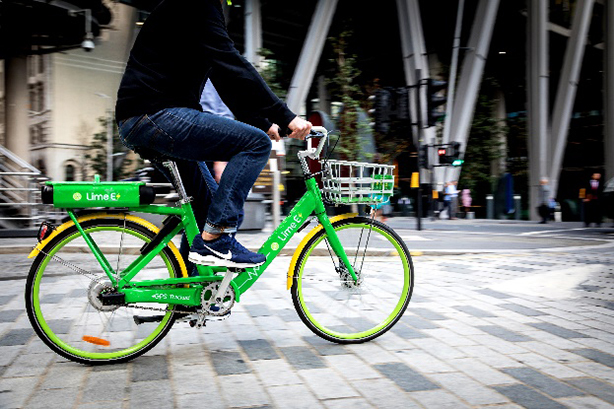 The PHA Group has been tasked with increasing the share of voice and brand awareness among UK consumers, including positioning Lime as ‘leaders in the e-bike and urban mobility sectors’. "Lime is an exciting company and we are thrilled to be working with them," The PHA Group’s head of technology Nick Braund said. "A hugely successful international company, we are looking forward to raising brand awareness here in the UK and encouraging Brits to travel around safely, easily and environmentally friendly, getting people active,"
Lime has also appointed Headland, to handle public affairs and political advocacy. E-scooters are currently illegal in the UK, although the government recently announced a regulatory review, which could pave the way for wider adoption. Headland’s brief is to advise and assist Lime on the rollout of its e-bikes in the UK, and support its work advocating for consideration of legislative reform on dockless e-scooters. "The benefits of e-scooters and e-bikes are clear. They have the potential to transform the way we get around, reducing congestion, cutting emissions and making active travel more accessible," Headland associate director Gabriel Huntley said. "These issues are rising to the top of the policy agenda and Lime can play a leading role in these debates, reflecting their philosophy of working collaboratively and in partnership with policymakers." Lime director of UK policy and government affairs Alan Clarke said: "We believe that zero-emission micro mobility solutions like e-bikes and e-scooters can help to reduce dependence on personal vehicles and leave future generations with a cleaner, healthier planet. We’re delighted to be working with Headland and value the innovative approach they will bring to helping to deliver this."